Do not watch bears wander around your property. 1. Consider your ATTRACTANTS…what might be bringing them in? 2. Are there simple things you can do to PREVENT bear trouble? 3. Are there DETERRENTS that will help you keep bears out? Chickens and rabbits, and other small livestock can be big attractants for bears. If you want fresh eggs and have backyard chickens, you may have visiting bears and need to take precautions. Most large livestock are not vulnerable to black bears. However newborn or baby animals can be at risk. From chicken scratch to grain, all livestock feed can attract bears. Feed for your livestock and pets should always be stored away from the animals. Store feed either in a locked, bear-resistant shed, or in a bear-resistant container. Place livestock pens at least 50 yards away from wooded areas and other cover that could protect bears from view. Confine livestock in buildings and pens, especially during lambing or calving seasons. 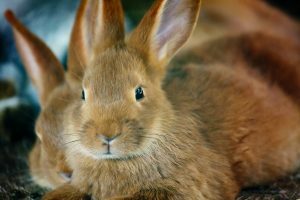 Consider bringing livestock, particularly smaller animals, inside at night. Remove carcasses from the site and dispose of them by rendering or deep burial. Deterrents for large and small livestock includes electric fencing, guard animals and scare devices. Visit the Keep Bears Out page for detailed information. Standard chicken and rabbit coop designs aren’t strong enough to keep out a determined bear. Electric fencing works best to keep out bears and prevent structural damage. For larger livestock, secure them in a sturdy pen or pasture with electric fencing. If the animals are pregnant or have little ones, keep them in a bear-resistant building, or within an electric fence until they can fend for themselves. A guard animal may protect livestock in large pastures from bears, coyotes and other predators. 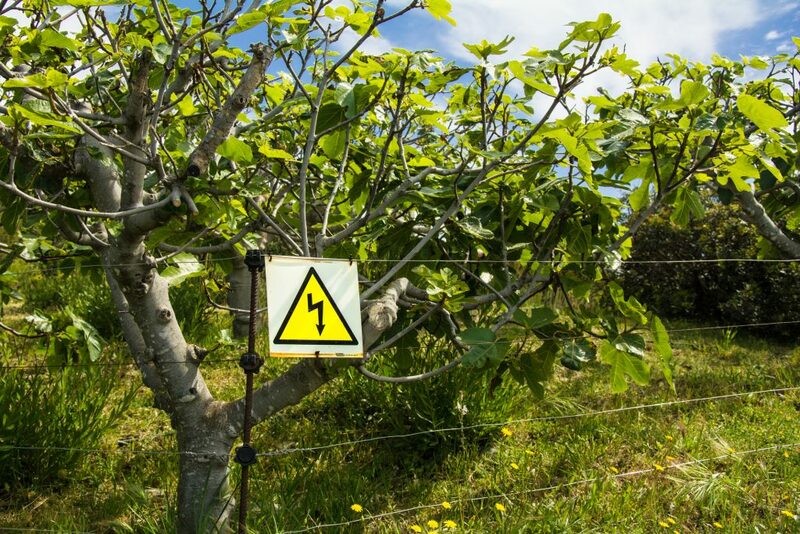 Scare devices can frighten wary bears from livestock corrals and orchards. Hungry bears find fruit a sweet treat worth coming back for nightly. To reach fruit, they may break branches and harm orchard trees. 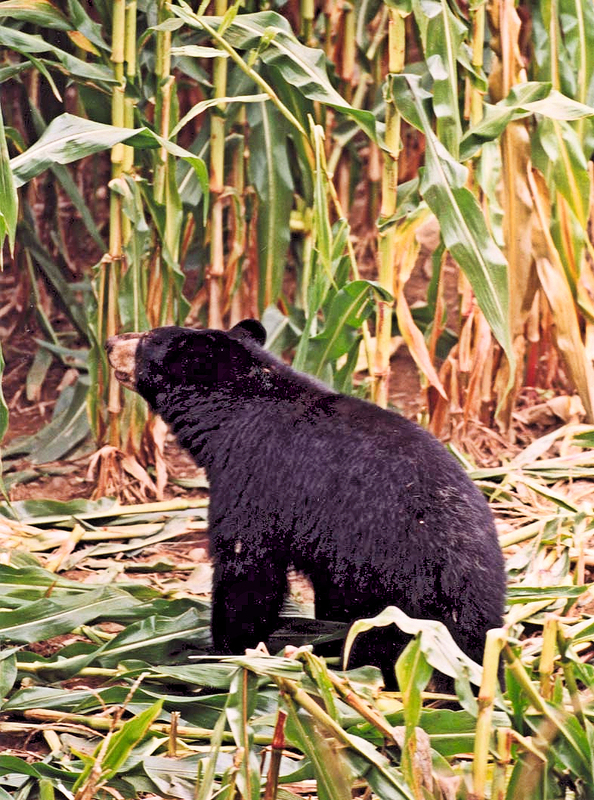 Field crops, such as corn and oats, may attract bears that can wreak havoc on the crops. Timber can even be an attractant, when bears may feed on the inner bark of young trees. Plant vulnerable crops away from forest or shrub cover, or remove protective cover from a radius of 50 yards around the crops. Make sure you pick your tree fruit as soon or even before the fruit is ripe. Pick up and remove fallen fruit that makes an easy meal for bears. A cornfield protected by an electric fence. 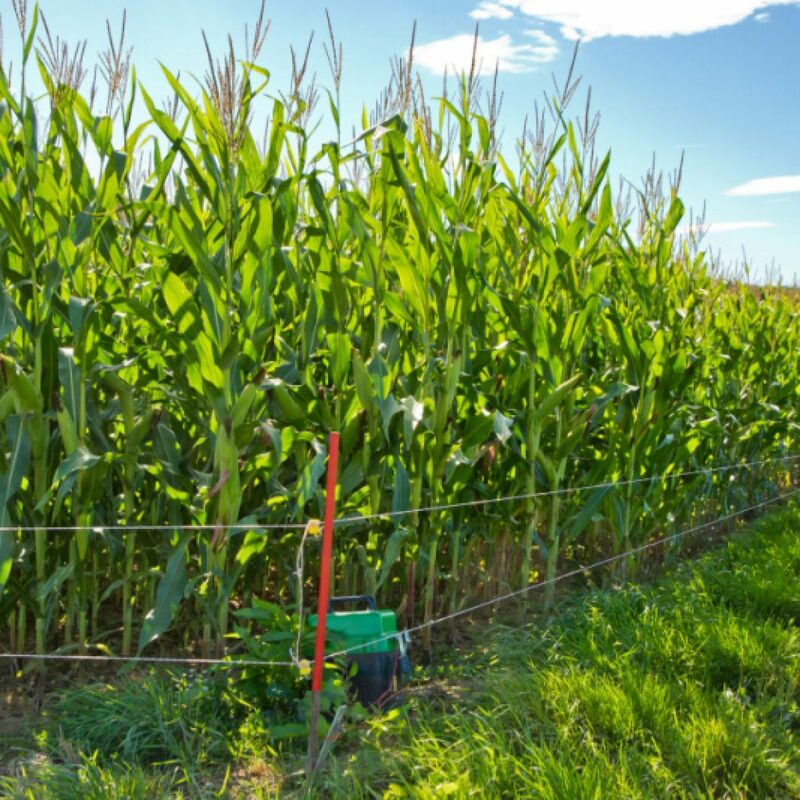 The deterrents for crops include electric fencing, guard animals and scare devices. Visit the Keep Bears Out page for information. Some bears are so fond of larval bees and honey, that they will seek out hives in their home range. Locate beehives as far as possible from forest and brush that provide bears cover and travel routes. Harvest honey crops as soon as possible after the spring, summer and fall nectar flows. Bare hives reduce their appeal to foraging bears. 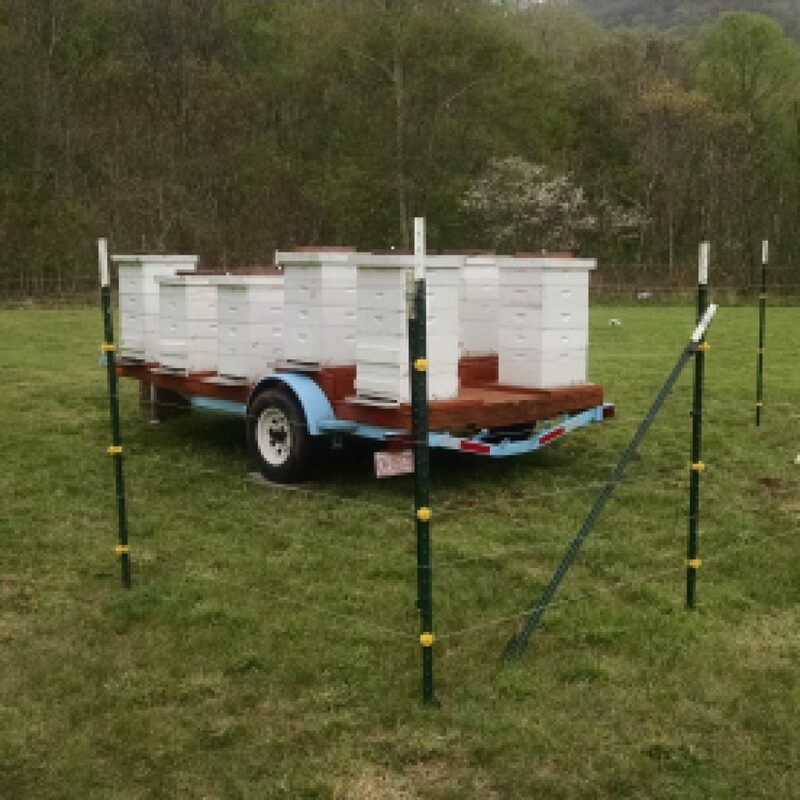 When possible, move apiaries to new locations if bear activity is detected nearby. Install and maintain electric fences. Consolidate hives and then fence them in to form the smallest apiary that can be practically managed. 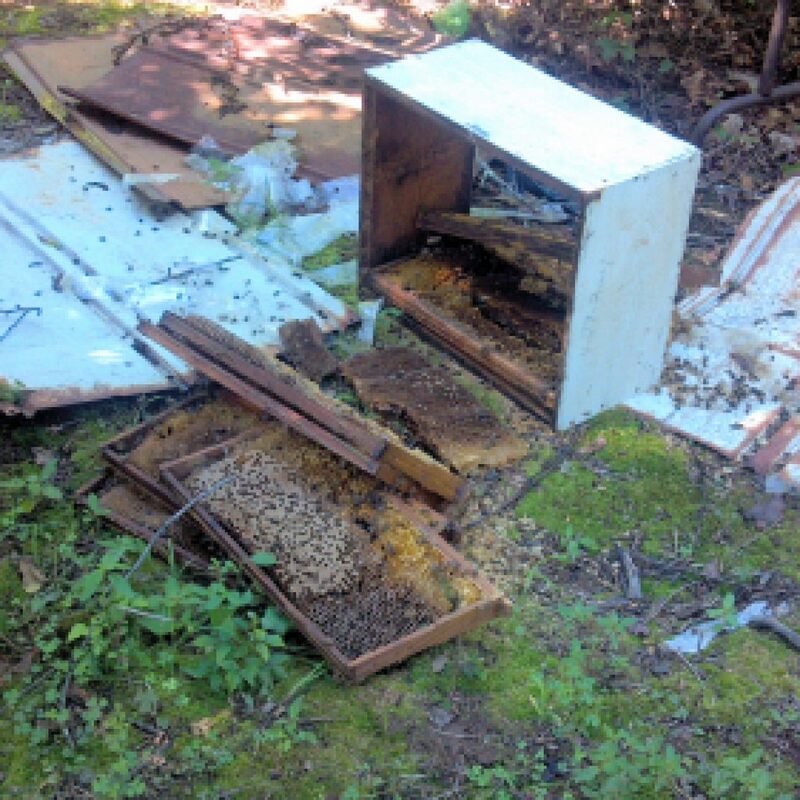 The more scattered the hives are in large areas, the more difficult it is for beekeepers to protect them.